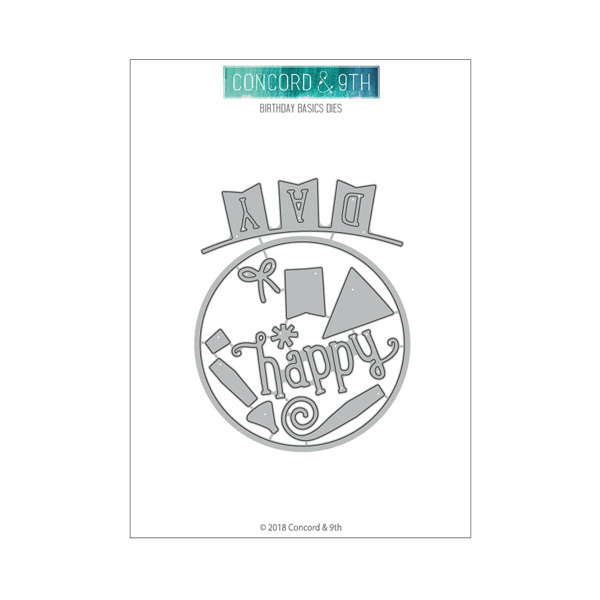 The Birthday Basics die by Concord and 9th can be used with the Birthday Basics Turnabout stamp set, be can be used alone. There are 11 dies in this set. The party blower includes three pieces for a multicoloured embellishment. Turn the circle into a balloon by adding the balloon tie at the bottom. Use the asterisk as confetti or the top of the party hat. The bow can be used on the balloon or the ends of the “day” banner. Concord and 9th dies are made from stainless steel in the USA and are compatible with most die cutting machines.